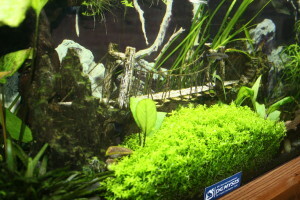 In the attempt to make aquarium keeping easier, or simply be able to provide some sort of answer to common questions. There have been a number of “rules” or guidelines that have found their way into the hobby, that you may have heard repeated over the years. You may have heard them from other hobbyists, from your LFS, Web Forums and even in published books and magazines. I want to focus on a few that I feel really need to go away, that were either bad information to begin with, or have become obsolete. These myths and misconceptions have a far greater potential to cause problems for the beginning aquarist, than they are to provide guidance for success. 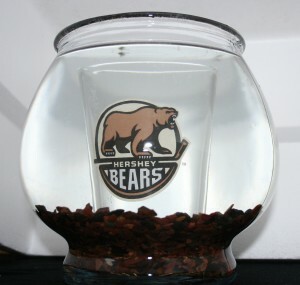 How many fish can I put in my aquarium? This is the oldest question in fish keeping, the first person to put fish in an aquarium asked himself this question. People want a number, they need a number, why can’t you give me a number!!!! Somewhere along the line, born out of the need to provide an answer, the Inch per gallon rule was conceived, and I hate it. Why do I hate it? Because not all fish are created equal, and not all aquariums are created equal. 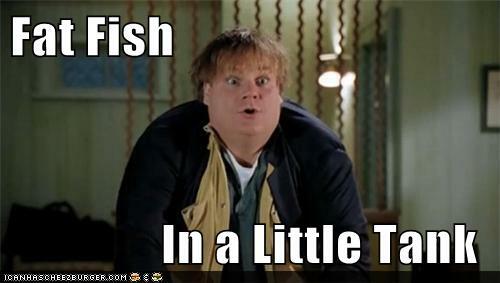 Six one inch guppies do not equal one six inch Oscar. 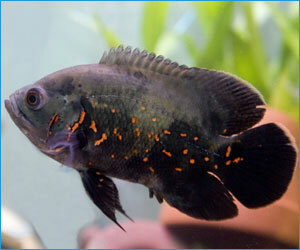 Body type, temperament, compatibility, adult size, diet and many other things should be considered when choosing fish. Slender bodies fishes, deep bodied fishes, schooling fish, colder water fish, all have different space and habitat needs. Tank shape is also important, and is completely ignored in most cases. A tanks surface area (footprint) has much to do with how many fish it can easily hold. Gas exchange only occurs at the water surface, and is where an aquariums dissolved oxygen and carbon dioxide levels are maintained with the atmosphere. A tall narrow column shaped aquarium, will have a smaller surface area than an aquarium that is short, wide and long. Two aquariums can be the same size in volume, but be very different in shape and surface area. This is a case where I don’t like the simple answer. My advice to people is to try and do a little research into the fish they’re interested in, see what they will get along with, and how big they will be as adults. Make sure you have adequate filtration, and take a conservative approach to stocking, don’t add all the fish at once. Most importantly, test your water quality, especially if you plan on keeping your aquarium near its limit. If at any point you are having trouble keeping your aquarium chemistry stable, do not add more fish, you may already have too many. This one really bugs me, and I still hear it stated as fact on a regular basis. This is simply just not true, some fish may grow slower in a small aquarium, or can be kept smaller by limiting food, but this is not way to treat your fish. Often used in conjunction with the inch per gallon rule, to try and justify putting more fish in a small aquarium, by ignoring the adult size of the fish, this myth needs stop being perpetuated. Most fish that reach a large adult size, and going to get quite large in the first 2 years, if your aquarium is too small, don’t buy the fish. There are better choices to be made! Small fish tanks are better for beginners. There are a plethora of small aquarium kits on the market, many of the marketed for children, or with the entry level aquarist in mind. Where this has the potential for problems is when people confuse affordability and ease of setup, with the reality of the needs of a small aquarium. The downside of the small aquarium is how quickly problems can arise, conditions can change, and frustration takes over. Some of the things that can cause serious problems in small tanks, are common mistakes made by the beginner. Over feeding, overstocking, poor tank placement, improper heater and risk of contamination are just a few things that can have rapid and unfortunate effects on a small aquarium. Not to say these things are good for larger aquariums, just that they affect larger aquariums more slowly, and allow you a chance to correct issues before the results are disastrous. 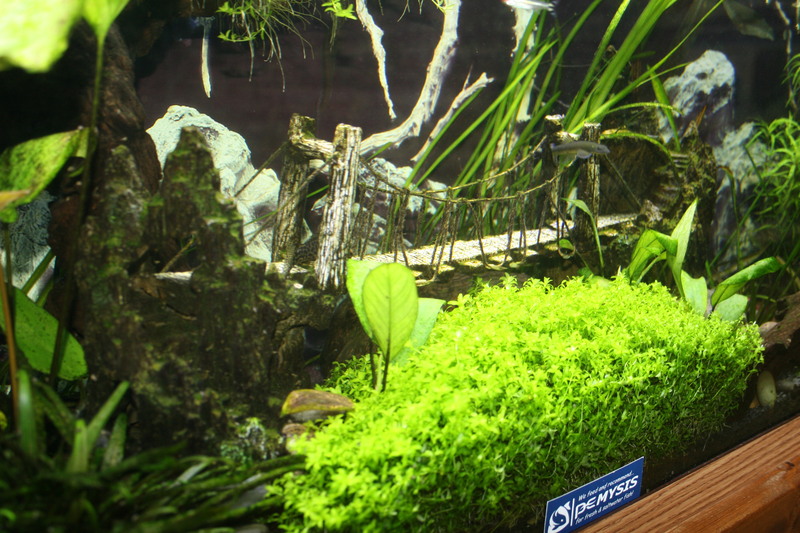 Be sure to check out our aquarium beginners guide before buying. The dos and don’ts of cycling your aquarium. This one could be a topic for a long article all by itself, so I will just hit on a few of bits of bad information that gets passed around to the unsuspecting new aquarist. Again, this is another topic where some simple research will go a long way to understanding the nitrogen cycle, and what to expect in your new aquarium. Let your aquarium sit for a month before you start adding fish. This is false; an aquarium is no more ready for fish after a month, than it is after 24 hrs. Once you have the aquarium setup, filters running, and heated to the proper temperature, you can start to add fish right away. 24 hrs is usually sufficient for your new tank to stabilize. Start with just a small number of hardy fish to get your system started. 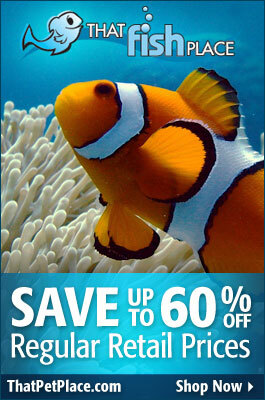 Using a bacteria supplement will instantly cycle your aquarium and allow you to fully stock your aquarium immediately. Although many manufactures’ of these products make them out to be a magic bullet, I feel Bacterial supplements should be used to complement the natural cycling process, not replace it. Without supplementation cycling will take 4-6 weeks, this time can be significantly reduced using supplements, but ultimately what is going to provide a stable aquarium is its own biological filter, the bacteria that colonizes and grows in your filter, and on your gravel, rocks and decorations. In a Marine aquarium, starting your aquarium with good cured Liverock will start you with a strong foundation. Don’t do water changes while your aquarium is cycling. This is also false. While your aquarium is cycling, toxic ammonia and nitrite levels can occur while the beneficial bacteria that consumes these waste products establishes in your system. You can absolutely perform small water changes to keep levels low enough that you do not reach levels that are toxic to your starter fish. While it is true that the first bacteria to colonize your aquarium are free in the water, especially if you are using bacterial supplements, the vast majority of bacteria that forms your biological filter lives on solid surfaces. Removing water will not affect this bacteria, and will not greatly inhibit your aquariums cycling ability. If you are a couple weeks into cycling your new aquarium, you should not be afraid to do water changes to help manage the high Ammonia or Nitrite levels. Our first blog on Do-It-Yourself aquarium decoration ideas seemed to get so many creative juices flowing that we’re back with some more ideas, tips and examples. In the first blog, we covered some general ideas for how to look at different objects as possible aquarium decorations. This time, we’re going to get more specific based on some of the most common questions from your fellow hobbyists. I created a few different looks after raiding my kitchen cabinets for inspiration using a 2-gallon glass aquarium and a 1-gallon glass bowl but you can adapt the same ideas to aquariums of any size. If you’ve been an aquarium keeper for any significant length of time, you know that unexpected things can appear in your aquarium seemingly overnight. You may not know where they’ve come from, but suddenly you’re faced with overwhelming numbers of “alien” invaders in your tank, creeping, crawling and swimming all over. Your immediate instinct may be to search for a quick chemical solution to eradicate the unsightly pests, but isn’t it safer for your fish and the aquarium habitat as a whole to solve the problem naturally? We discussed eliminating the causes of some of these critters as natural remedies in other articles, but this time we’ll take another approach…the possibility of finding and adding natural predators to the pest species you’re struggling with. It’s important to keep in mind that though these creatures have been effective in the tanks of other hobbyists, you can never predict the behavior of an individual fish and you may not get the results you’re looking for. Also remember that these fish have to be compatible with the habitat you’ve created and with the other fish in your tank…if you introduce any neew fish or invert to your tank, observe them closely to make sure all of your fish are getting along. Dedicated aquarists pour their hearts and souls into creating thier own versions of breathtaking aquatic displays. Countless hours are dedicated to precise placement of wood, rock and other ornaments, painstaking pruning of live plants, and, of course, to testing and maintaining the water quality to provide the healthiest environment possible for the stars of the show: the fish! The ultimate goal is to have brilliant, beautiful, healthy fish to observe, and just about every other aspect of the tank contributes to the appearance of the livestock you keep. While the conditions that favor each species vary, you can provide the necessary factors to tweek the colors they show and make your fish look their best.